*I was compensated by Smuckers & Mom It Forward to create this post. All opinions expressed are completely my own. I think breakfast can be one of the most boring meals of the day. It has this fabulous potential to be maginificent but in my life this rarely happens. I’m way to busy trying to get ready in the morning, get Miss K ready and out the door on time successfully without forgetting anything that I never have time to truly enjoy the meal. I’m usually grabbing a piece of toast, gobbling up some cold cereal and coaxing Miss K to hurry up and eat. I swear that child knows when she should eat fast and does the exact opposite! 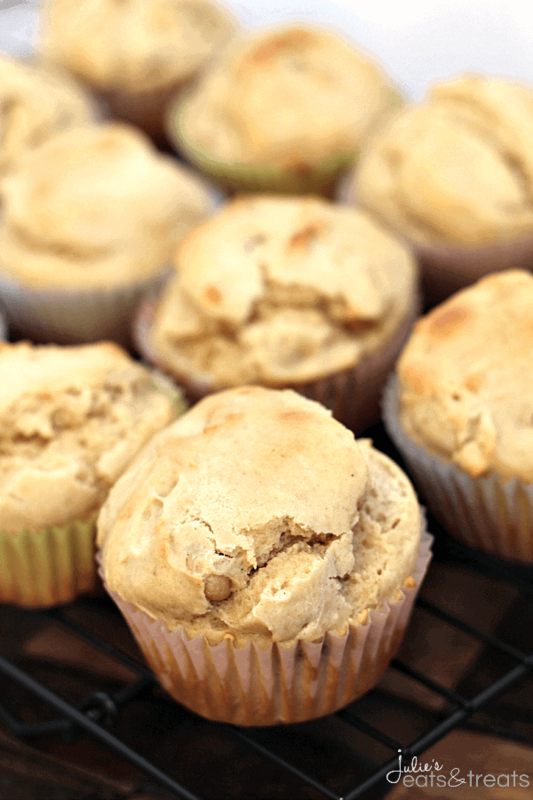 Enter these Easy Peanut Butter Muffins into the equation. I adore Peanut Butter & Jelly together. It brings me back to the comforts of growing up. My mom was always insistent that we eat breakfast before we left for school. She would have none of it if we wanted to skip breakfast. I still don’t skip breakfast! I guess she instilled that in me quite successfully! 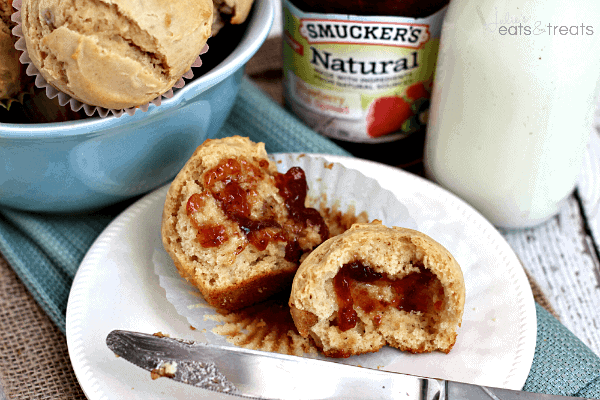 These muffins are delicious, moist and so wonderful when they were loaded up with Smucker’s® Natural Fruit Spreads. I of course picked my favorite flavor, Strawberry! You could also load it up with Smucker’s® Red Raspberry, Orange Marmalade or Concord Grape Natural Fruit Spreads! 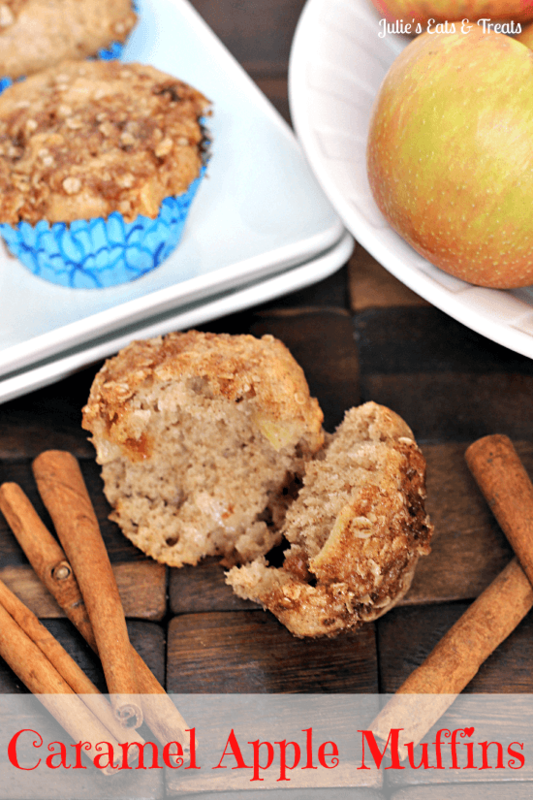 The muffins are great for a make ahead treat for your family the next day. Just pop them in the microwave to warm them up and then give them a good bath in fruit spread. With winter dragging on, and on, and well on with no end in site I made a batch for my family to “Spread a Little Sunshine this Winter”. It was a great way to brighten up their morning and let them know they are my Sunshine! 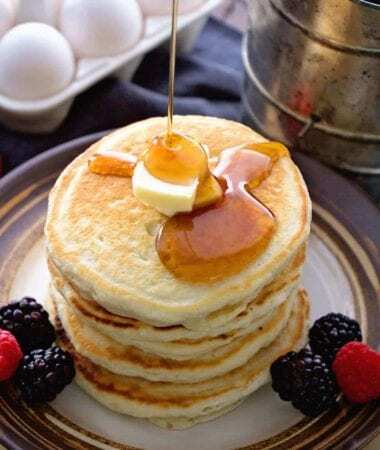 I love the fact that my family can enjoy breakfast and I know that when they are eating Smucker’s® Natual Fruit Spreads they are made from natural sources, have no preservatives and of course are naturally delicious! Plus they only use real sugar. 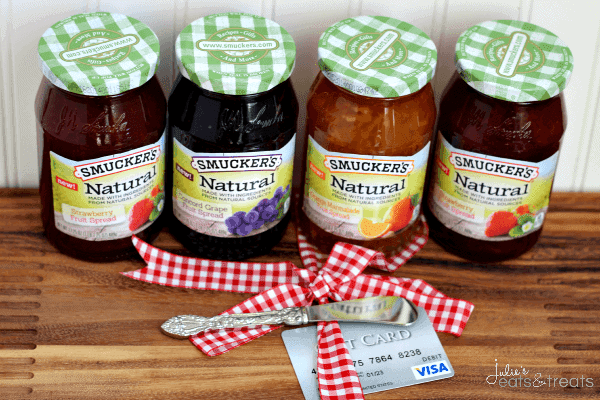 Wouldn’t you love to try the Smucker’s® Natural Fruit Spreads? Enter below for your chance to win a Crate & Barrel cheese board, jam spreader and $75 Gift Card! How would you “Spread a Little Sunshine this Winter”? In a large bowl cream together the sugar, butter and eggs. Add peanut butter and milk and mix until combined. In another bowl sift together flour, baking powder, and salt. 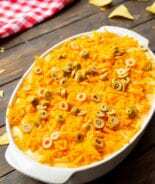 Mix into wet mixture until just combined. Stir in peanut butter chips. Divide evenly into muffin tin lined with muffin cups or greased. Fill each cup 2/3's full. Bake at 400 degrees for 15-17 minutes or until they test done. Got Muffins on Your Mind? 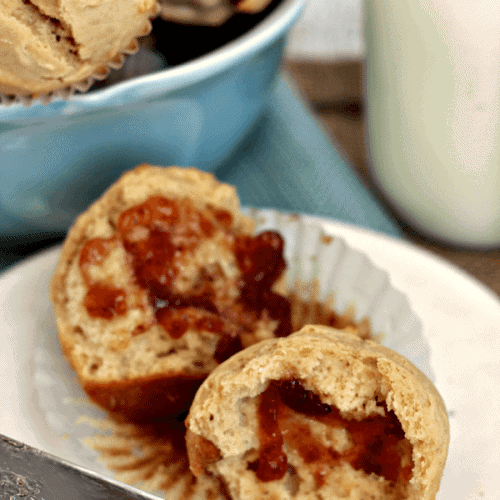 Caramel Apple Muffins ~ Love Caramel Apples? 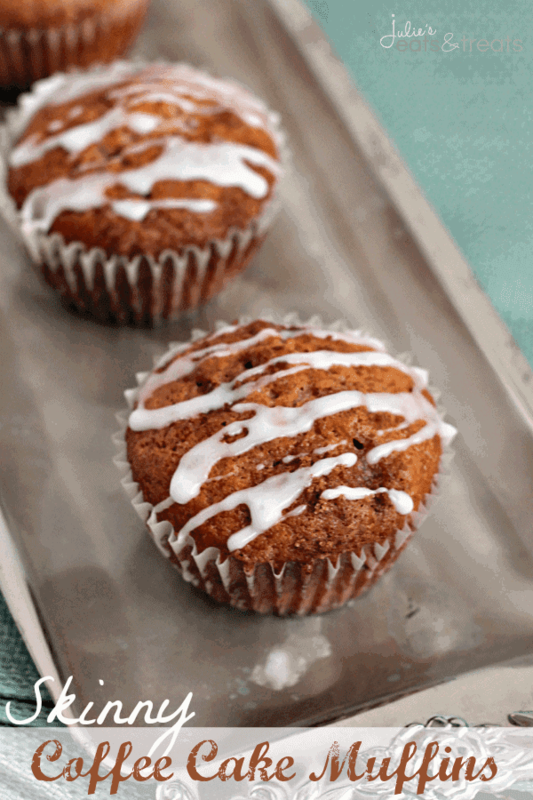 Get all the flavor in these muffins! 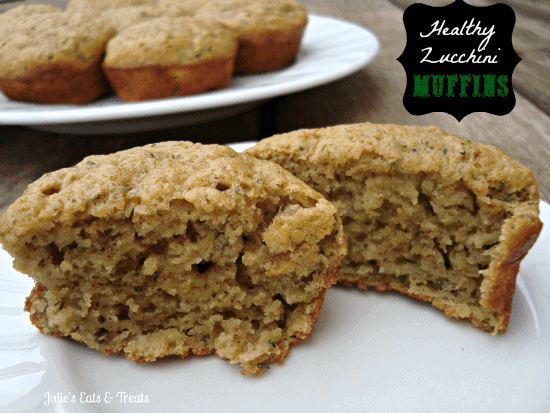 Healthy Zucchini Muffins ~ Moist, Delicious Muffins Loaded with Zucchini! I’d eat breakfast more often if these were in my kitchen! Holy yum! Now this is breakfast. I would be very happy with this every single morning! You and I both Jocelyn! Why do I love this? I imagined making a PB and Jelly dessert today, and my dreams have come true! Looks so good! 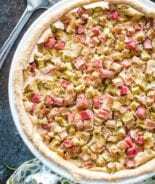 I love anything with the PBJ combo! 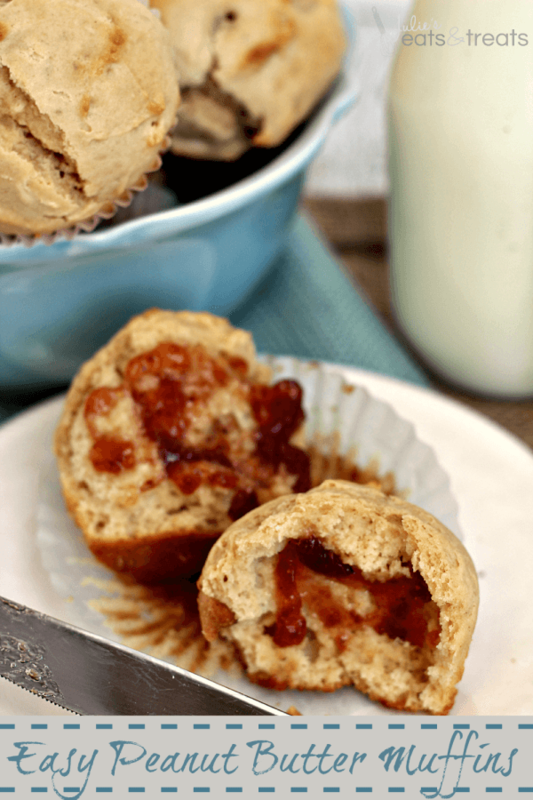 These muffins look super yummy Julie! 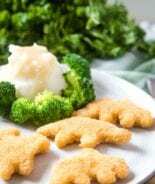 What a great afternoon snack idea! Delicious breakfast! My family loves PBJ so these are perfect for us! 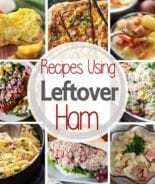 I could be full from eating a wonderful meal, and I read one of your recipes and BAM! I am pulled into it. 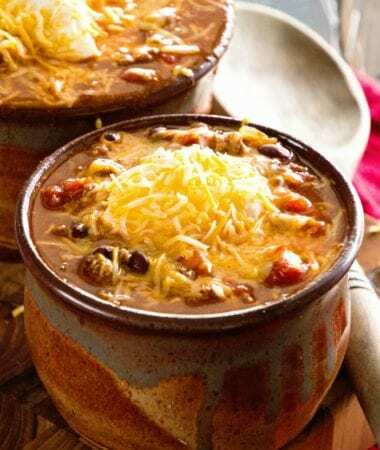 You have the most delicious, enticing recipes and I am “hooked” on your site. 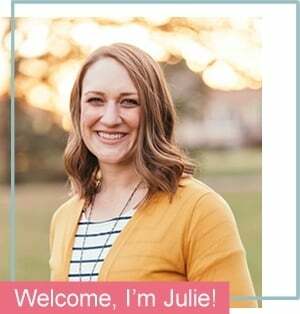 Great Job and Kudos to you Julie! Awwwww you are to sweet! I hope you find some keepers!!! 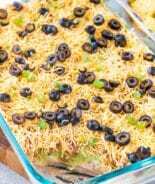 These are super easy and delicious! I filled the tins with 1/3 batter, tsp strawberry jam, then another 1/3 batter. Amazing! Love that twist on them!